Только US$80.03 + быстрая бесплатная доставка. Купить Leifheit Standing Airer Pegasus 200 Solid Comfort 81516 по доступной цене в интернет магазине Tomtop с доставкой. 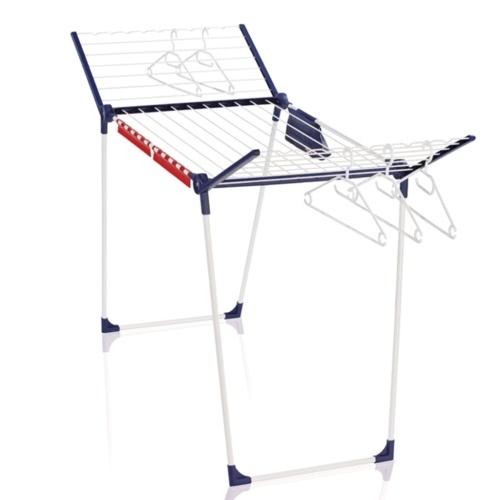 The drying bars of the Leifheit 81516 Standing Airer Pegasus 200 Solid Comfort have a special powder coating that makes the dryer durable and rust proof, and thus suitable for outdoor use. 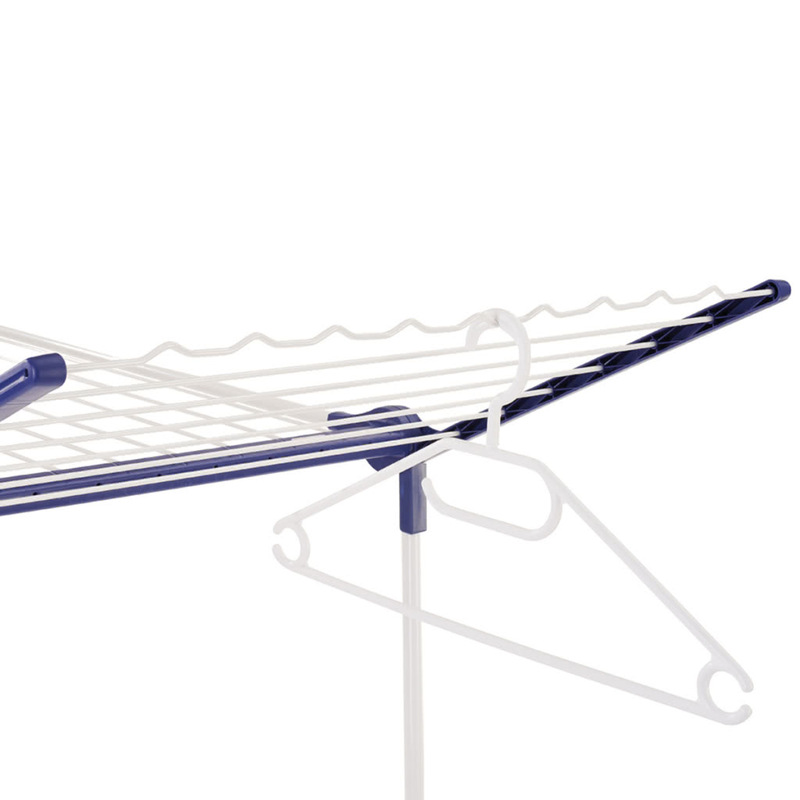 The Leifheit 81516 Standing Airer Pegasus 200 Solid Comfort will be ideal for drying laundry: with its parallel supporting legs, it is extremely stable and thanks to its powder-coated, rustproof rods it is suitable for outdoor as well as indoor use. It has space for two machine loads of laundry. 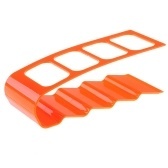 Long laundry items like bath towels or trousers can be placed on the side foldable wings. Their height of 107 cm keeps these longer items off the floor. 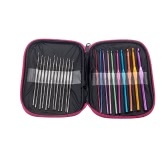 The two outer rods on the wings are particularly suited for clothes hangers due to their waved shape. Five “wind proof” hangers are included. They click into place and will not fall off the bars, even in the strongest wind. As a practical extra the Pegasus 200 Solid Comfort is delivered with a clothespin bag, which can be attached to one of the drying bars with a hook-and-loop fastener, so you can keep your clothespins within reach. 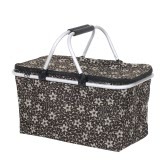 Also included are two holders for smaller laundry items, on which you can place socks, handkerchiefs or pants easily and quickly without clothespins. 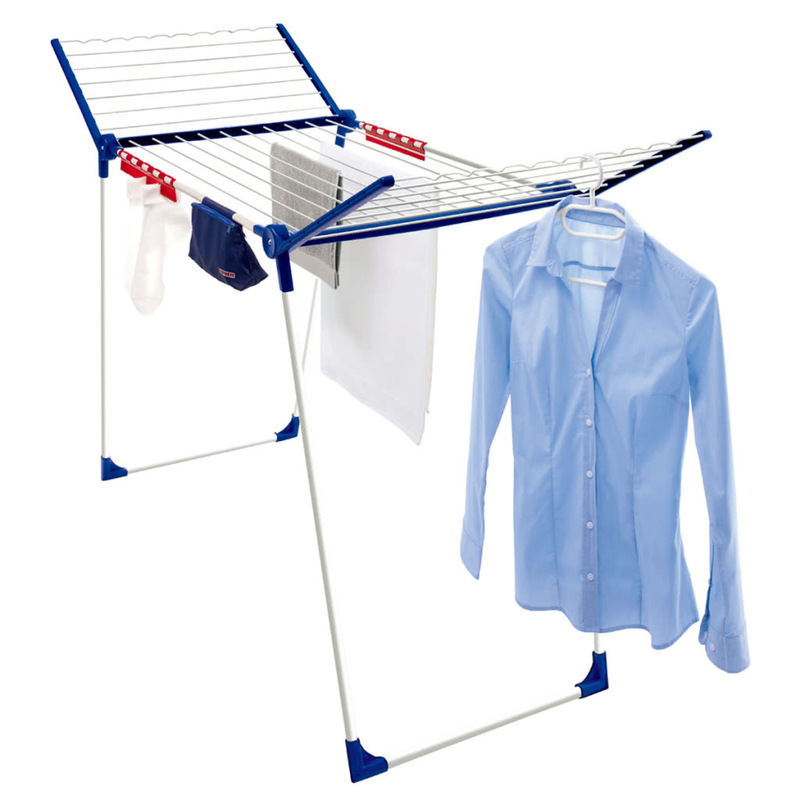 The standing airer Pegasus 200 Solid Comfort is easy to set up and also easy to fold.